While Yoast SEO is mostly known for its WordPress plugin, we are in the process of branching out. We support several plugins for other platforms, like Magento 2. One of those platforms, the large-scale open source CMS TYPO3, received a brand new version of Yoast SEO today. In Yoast SEO for TYPO3 1.3, you’ll find several fixes and enhancements that greatly improve the plugin. Find out what’s new! Together with our friends from MaxServ, we’ve been steadily improving the Yoast SEO plugin for TYPO3. This popular and highly flexible CMS is widely used around the world, with a focus on European governments, universities and global brands like Airbus, Leica and Air France. Since April of this year, all sites running TYPO3 version 7+ can now enjoy an increasing number of the many benefits of working with Yoast SEO. 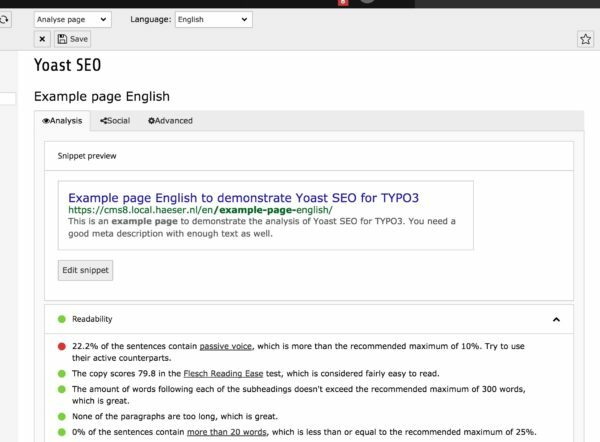 The main focus of Yoast SEO for TYPO3 is bringing its world-famous content analysis to a new platform. The content analysis checks the text you write and gives you suggestions to improve it. You can also set a focus keyword, so you know exactly when the text is SEO-proof. There’s also a snippet preview on board that lets you see how your article will show up in search results. You can use it to improve your visibility by making it as enticing as possible. Last but not least, TYPO3 users can now use the social preview feature to make the article or page ready for sharing on Twitter and Facebook. You can even add images if you want. While the Yoast SEO for TYPO3 does not contain every feature from Yoast SEO for WordPress yet, it is an extremely valuable tool to assess and improve your content. The plugin is a work in progress and will only improve in time. Today, we’re releasing the latest version of Yoast SEO for TYPO3. 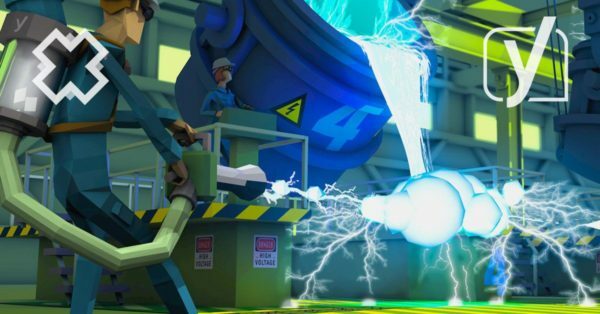 The MaxServ team did a wonderful job improving the plugin. They fixed a lot of bugs and enhanced the plugin where they could. Several memebers from the TYPO3 open source community contributed as well. Among other things, the notifications in the content analysis are better, and it is now possible to hide the analysis in the Page module as well. You can read the full release changelog over at the Extension Repository. Be careful: by default, the plugin will disable the default title rendering of TYPO3 except on pages on which you disable the rendering of the title tag by the Yoast plugin. You can use the default title behavior on, for example, a detail page of a record so the extension developer can make sure the title of the record is used. Yoast SEO for TYPO3 is out now, and you can get it at the TYPO3 Extensions Repository. Try it out and let us know what you think! As it is an open source project, you’re welcome to add bug fixes and suggest enhancements at the project’s GitHub page. We’re looking forward to your feedback! 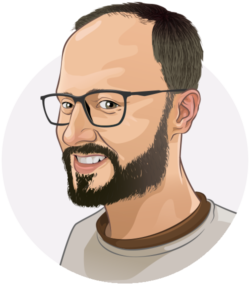 Nice information on how to adopt yoast for typo3. You covered only important information and that’s what i like in this.